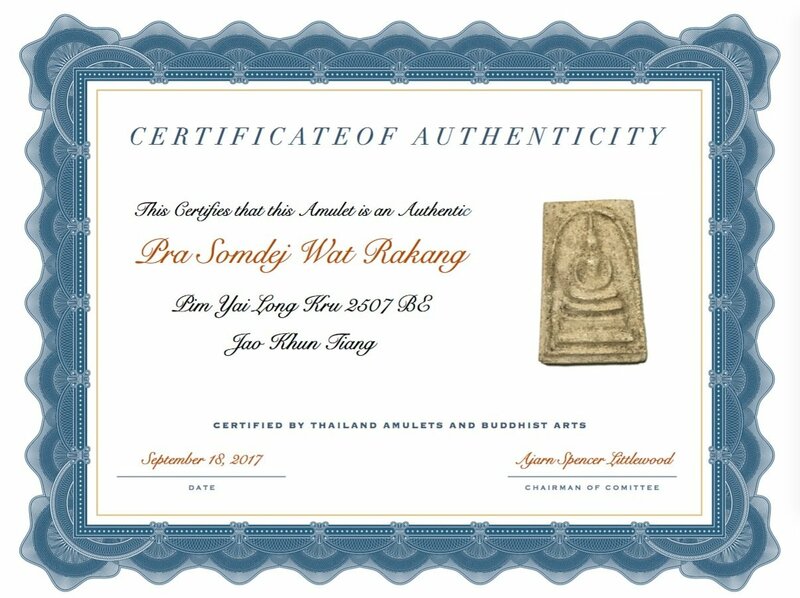 A very rare 2507 BE early Era Pra Somdej amulet from Luang Por Jao Khun Tiang, of Wat Rakang Kositaram made by Jao Khun Tiang, Abbot of Wat Rakang Kositaram, and Wicha inheritance lineage Master of the Dtamra Pra Somdej Wat Rakang of Somdej Pra Puttajarn (Dto) Prohmrangsri, through the transmission of previous abbot, the great Luang Phu Nak, and Luang Phu Hin (Wat Rakang Kositaram). Made using broken pieces of Pra original Somdej Wat Rakang Kositaram of Somdej Pra Puttajarn (Dto) Prohmrangsri. Jao Khun Tiang was born in the year 2478 BE and ordained at a very early age as a Samanera Novice Monk, and at the age of 20 in the year 2501 BE was reordained as a fully fledged Bhikkhu. He moved from Nakorn Rachasima to Wat Rakang Kositaram to study Dhamma, and was able to complete all degrees from Batchelor to Masters. 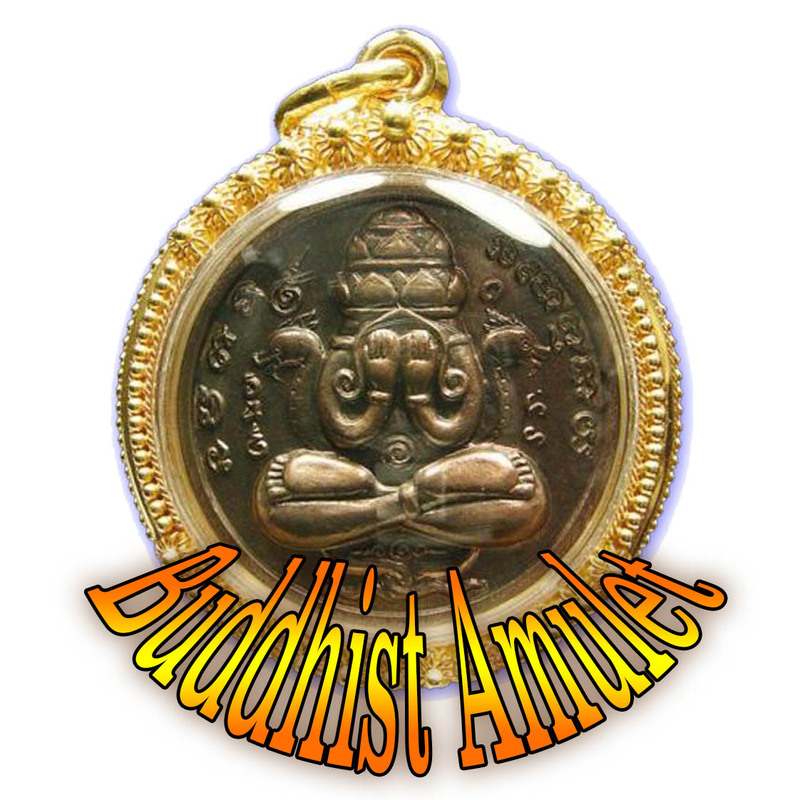 He began making amulets very early on during is ordained life, with Luang Phu Hin and Luang Phu Nak, sometime around 2500 BE - 2505 BE He continued releasing amulets constantly each year after year. He has released many famous editions since he became the abbot of Wat Rakang Kositaram in 2550 BE. Jao Khun Tiang has been taking care of the temple and the amulet editions of Wat Rakang Kositaram since then till now (2560 BE), and was already releasing amulets before even becoming vice-abbot of Wat Rakang Kositaram. Now since his elevation to the status of Abbot of one of the top Royal temples of Thailand, of perhaps the most famous of any temple built in Bangkok, outside of the Temple of the Emerald Buddha in the Royal Palace. For foreigners perhaps the palace and the temple of the dawn and Wat Po may be the most famous, but for Thai people and for amulet aficionados, Wat Rakang Kositaram is of course, perhaps the top temple as far as amulets are concerned, due to the fame of the Pra Somdej Wat Rakang Kositaram of Somdej Pra Puttajarn (Dto) Prohmrangsri. 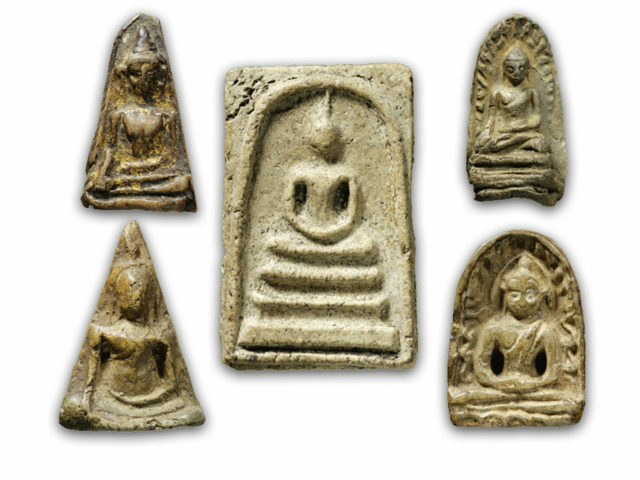 Jao Khun Tiang received his Wicha from the Great Luang Phu Nak, and Luang Phu Hin of Wat Rakang Kositaram, especially the Wicha of making amulets according to the Dtamra of Somdej Pra Puttajarn (Dto) Prohmrangsri, and the mixing of Muan Sarn Clay, by method of making Yantra Powders, mixed with hordes of other secret ingredients. His amulet trajectory began very early around 2505 BE, as he received Wicha from his Mentors Luang Phu Nak and Luang Phu Hin, and as a lineage continuance abbot and Wicha Holder of Wat Rakang Kositaram, is also an Eminent Member of the Gaeji Ajarn Master Lineage of this great Temple. His amulets are very hard to find, especially this early edition Masterpiece, which is known to have passed Buddha Abhiseka in the year 2507 BE, with both of his Mentors, Luang Phu Nak, and Luang Phu Hin attending to assist in the empowerment. 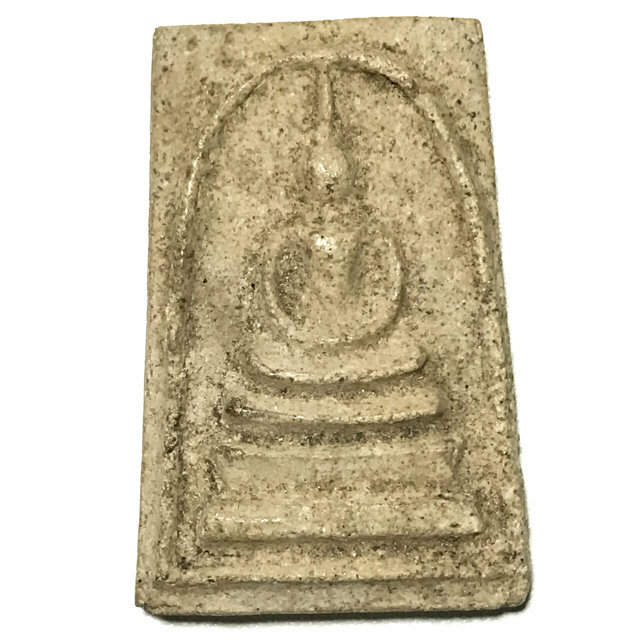 This amulet is one of the first made by Jao Khun Tiang from his very early Era, and is an immensely rare acquisition for aficionados and devotees of Wat Rakang Kositaram, and the amulets of this world famous sacred temple.